A former International Paper official has been named director of the Region 5 office of the state Department of Environmental Conservation. In his new post, Robert Stegemann will oversee an office that, among other things, manages the eastern two-thirds of the Adirondack Park. He begins on Monday, replacing Betsy Lowe, who resigned last month. For the past two years Stegemann served as a natural-resources and public affairs adviser for nonprofit groups, according to a DEC news release. He had worked at International Paper for eighteen years, holding a variety of roles, including spokesman and manager of sustainability. 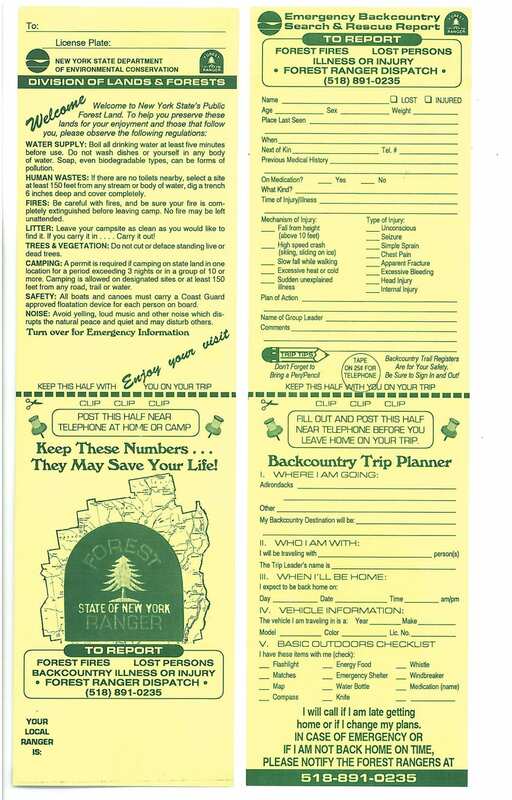 He also served as spokesman for the Empire State Forest Products Association. Adirondack Council spokesman John Sheehan applauded the appointment. DEC says Stegemann also has been a senior policy analyst for the Tug Hill Commission and has held volunteer positions with the Rensselaer Plateau Alliance, the Adirondack Research Consortium, the Adirondack Nature Conservancy and Land Trust, and the Northern Forest Lands Council. Stegemann earned a master’s degree from State College of Environmental Science and Forestry and a bachelor’s degree from Union College. Very interesting that Robert Stegemann is coming from International Paper (Thomas Jorling once, DEC commissioner, left to work for IP)to occupy what is arguably the best position in DEC: chief of Region 5. Does he know the story of IP’s founder Albrecht Pagenstecher and his nephew,Cornell forestry professor A.B. Recknagel?